Let’s talk about your new book An Amish Family Reunion (Harvest House, February 1, 2012). Please tell us about it. Julia Miller misses her children. They are grown and have families of their own now, but her mother’s heart yearns for a houseful of laughter and joy once again. She plans to gather her chicks together in a summer celebration to remember. At the farm next door, Julia’s niece, Phoebe, meets Eli Riehl, a young man who charms her—and everyone else—with his exceptional storytelling ability on a rumschpringe trip to Niagara Falls. When Phoebe sketches scenes to illustrate one of his tales, Eli encourages her incredible talent, and together they embark on a lofty and unlikely business venture for two young Amish people—writing and illustrating a children’s book. 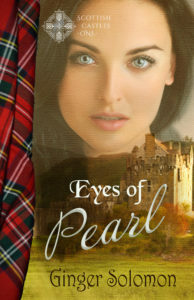 Eli’s kindness and appeal extend beyond his knack for words to reach inside Phoebe’s shy heart. But he is an only son with five sisters, and when tragedy strikes at home, Eli gives up his writing to assume responsibility on the farm. Though willing to abandon his dream of becoming an author, he won’t give up his beloved Phoebe. Can their love for a good story develop into something that lasts forever, or will memories of the past stand in their way? I hope my readers will learn that the Amish aren’t much different from other Christian denominations. We all struggle to balance our daily lives with our walks of faith. Life isn’t easy; it’s not supposed to be. There is only One who can lighten our load. That’s so true. What’s next for you? What are you working on? I am putting the finishing touches on the first of my New Beginnings series, Living in Harmony, and then starting book two, Living in Paradise right afterward. With three books due within the year, I won’t need any other reason to stay in the chair in front of my computer. I grew up near an Amish settlement and fell in love with their agrarian lifestyle. I have now written eight novels set in their peaceful communities. When not writing I enjoy gardening, bicycling, swimming and traveling with my college sweetheart, my husband of many years. Before “retiring” to write full-time, I taught middle school and worked as a sales rep for Hershey Chocolate–a job with amazingly sweet fringe benefits. My debut Christian book, A Widow’s Hope, was a finalist for the 2010 ACFW Carol Awards. I would like some of those sweet benefits about now.